From cuts to burns to fractures and nosebleeds many accidents take place everyday. Understanding First-Aid will not only better equip you in case of an emergency but could perhaps mean the difference between life and death of a patient. 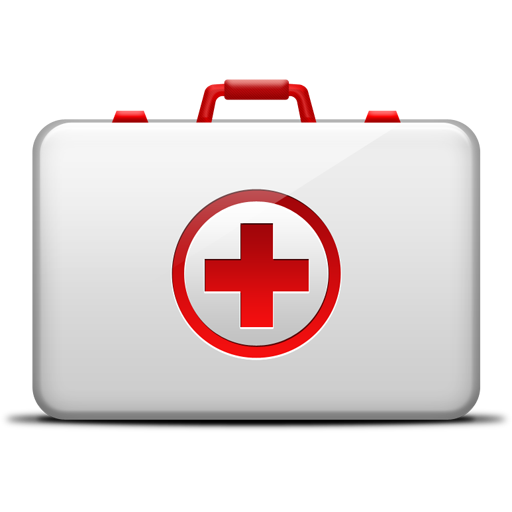 In this section we'll examine basic First-Aid procedures and at the end of the course you'll be tested on your knowledge. Remember the Goal: Recognize when help is needed and how to get it. Learn how and when to access the EMS system, ie: 911, activate the emergency response plan, and to contact the Poison Control Center (1-800-222-1222). The faster you retrieve advanced care for the patient the higher the survival rates. If you're alone and/or in harm's way then provide basic care before leaving (if possible). Basic care such as: applying pressure to the body that's severely bleeding and opening an airway. These steps should be followed before attempting to activate the Emergency Response System.